Where art and technology combine, mediums are redefined and new aesthetics emerge. In educational environments there is an interesting dynamic to balancing the approach to developing and exploring new mediums. The BA (hons) in Computer Arts at Abertay University was developed originally as an add-on to the Games Technology degree, as was at the time a gap to connect the two approaches of art and technology in the realisation of Computer Game Developments. This note is intended to briefly communicate the initial approach and setting up of the Computer Arts Degree within what was then the School of Maths and Computing at Abertay University Dundee. In the late 1990’s, Belinda Langlands, an artist and designer, was starting to become involved in lecturing at Abertay on the Games Technology degree. Her approach was to enable the tech/game design students to develop knowledge, understanding and consideration of the look and visual creativity around their ideas in the realisation of their games. Ideas around visual creativity and communication were introduced, as well as elements of art education such as critiquing sessions, which were new and even alien to the students at the then Maths and Computing School. 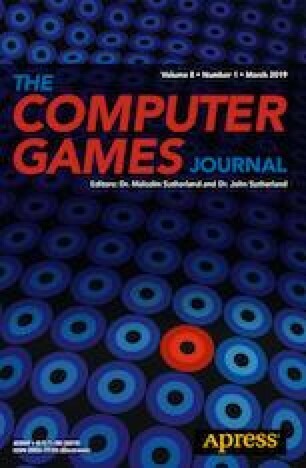 As the impact of this approach became apparent, and with the considerable support of the then Head of School Professor Marshall, a team was put together to develop a new degree in the area of Art for games, so that students reading for the technical degree could engage and collaborate with those reading for the artistic degree in the production of computer games, and work closely together in teams, as was/does happen in industry. Belinda Langlands was one of the authors and the original Programme Leader of the first BA (hons) in Computer Arts. There were many challenges in terms of the approaches of the degree, not only due to the environment in which it was being developed, but also as it was a totally new subject and area of academic enquiry. Planning the actual degree required wide research of art approaches at other institutions, and forward thinking in the new creative field. Notable areas developed within the new degree included drawing classes, audio design being taught with the science and art students together, exhibitions of student work, and new research areas developed around the inquiry of visual digital aesthetics.